There’s something totally magical about eating lunch while the ocean waves crash up against your restaurant. I’m a total beach baby, and as soon as I walk into Harbour House, I feel like I don’t want to leave…ever. Aside from the waves and the stunning view (the restaurant is surrounded by glass), the whole place is decorated in shades of blue with lovely wooden furniture, such a beach-house feel. It’s what my ideal home would look like. 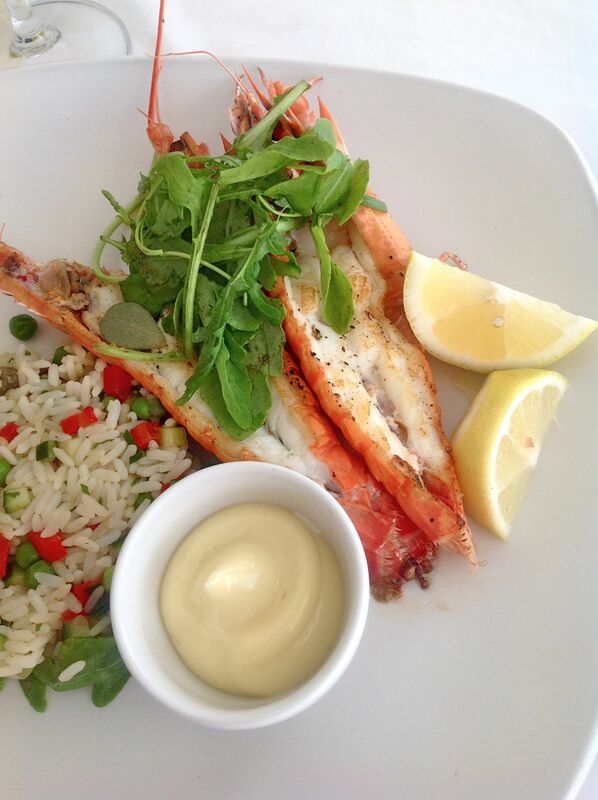 When you go to Harbour House you simply have to eat fish, as much of it as you possibly can. Seriously, stay away from the meaty menu options as you can be sure the fish will be so fresh and perfectly prepared. Oh, and don’t focus too much on the menu, rather take a look at the blackboard where the day’s specials are displayed. I always end up ordering from there. 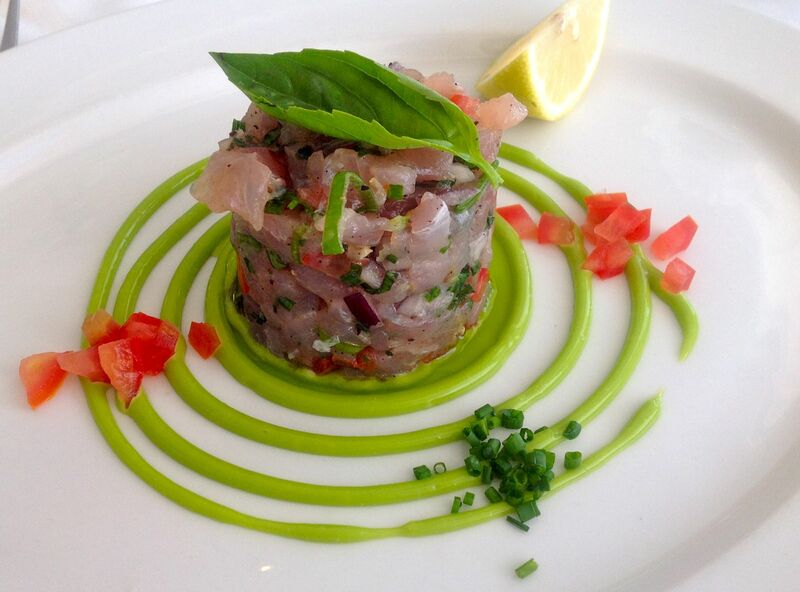 To start I had this amazing yellowtail tartare. The yellowtails seem to be jumping out of the ocean at the moment so they are fresh, meaty and just beautiful. 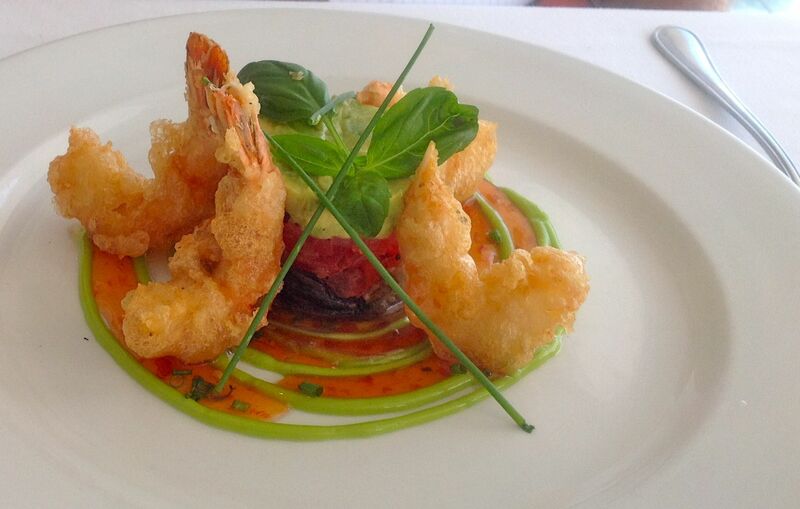 The tian of prawns (also on the blackboard) offers a tower of aubergine, tomato and avocado, surrounded by tempura prawns. Focusing on the fishy side of the menu I decided to go for langoustines for my main. You can order as many (or as few) as you want, two seemed to fit the for me bill today. 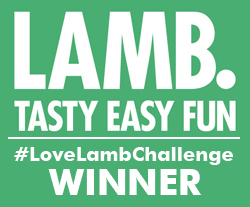 Beautifully sweet and meaty and served with the most delicious savoury rice. There were three line fish specials today, one of them being…yellowtail. 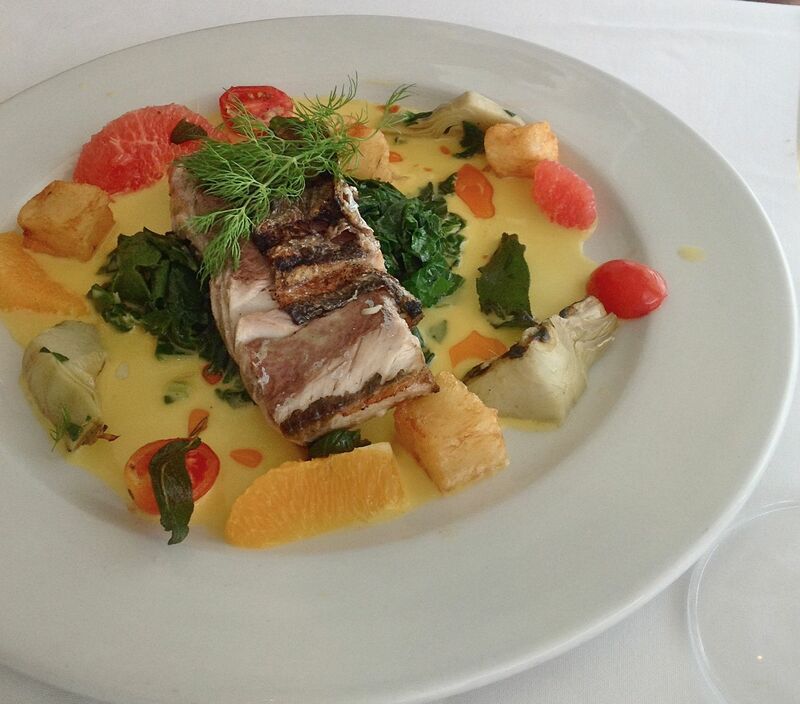 Served with an orange beurre blanc, artichokes and spinach. 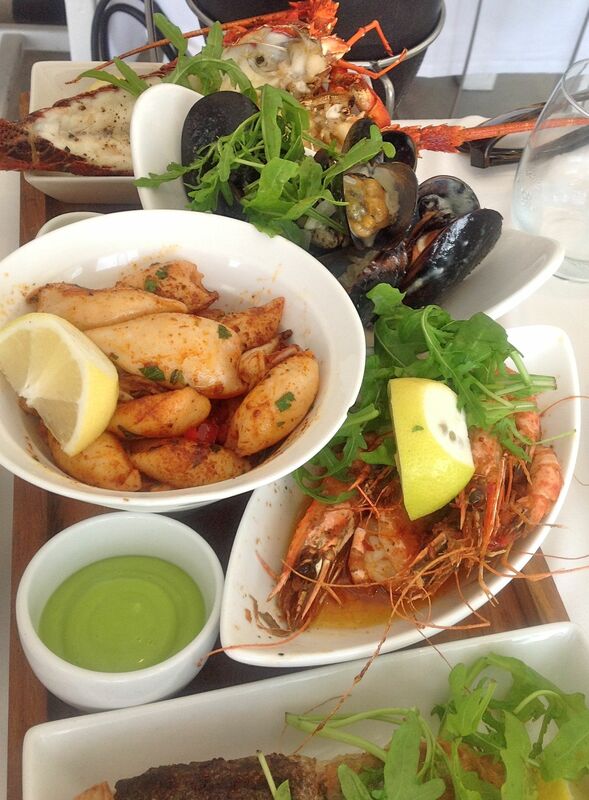 Of course, if you’re in a seafood restaurant there’s always the ultimate dish…the seafood platter. Crayfish, prawns, mussels in a deliciously creamy sauce, spicy calamari and fried linefish. A veritable feast! I wandered around snapping happily with my iPad when I arrived to try to capture the beachy feel of Harbour House. How beautiful is it? Just to say it’s empty because we arrived at noon, for an early lunch…it soon filled up. There’s also a beautiful deck outside where you can chill out before (or after) lunch…again this is for my dream house. 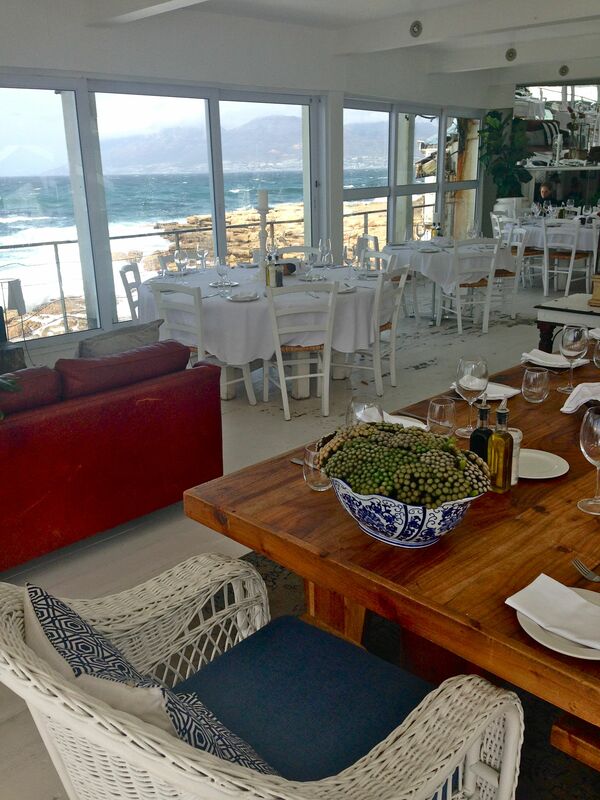 Blue and white all the way, it’s the perfect lunch venue! 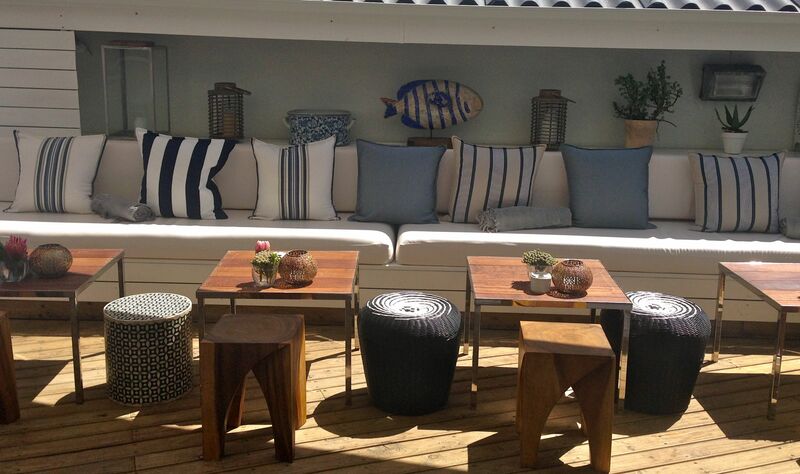 Harbour House is at Kalk Bay Harbour, Kalk Bay, Cape Peninsular. What a beautiful looking place plus delicious looking food! Very jealous! !